THE cool, powdery-white sands of Boracay. 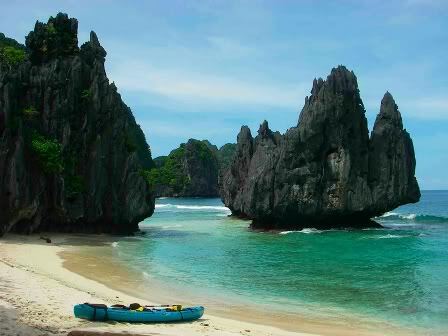 The massive limestone cliffs in El Nido. The clear, blue waters of Cebu. The lush, rolling hills of Batanes. The almost-perfect cone of majestic Mayon Volcano. These are just some of the awe-inspiring sites to behold when traveling around the Philippines. I’ve been fortunate to have traveled to quite a number of lovely places in the country primarily because of my profession, and due to a brief stint in the government in the early '90s, accompanying three successive Cabinet secretaries who frequently monitored their agency’s provincial projects. Nothing compares to the beauty of the Philippines, simply because it offers a myriad of choices to travelers of all persuasions and budgets. And whether you’re a fellow Filipino or a foreigner, one can be sure of friendly locals at these tourist destinations, eager to help and ensure you have a great time. Mayon Volcano as seen from the Cagsawa Ruins. THE still-active Mayon Volcano is one of the most moving and powerful sights I’ve ever been fortunate to behold in my life. Its near-perfect cone is simply breathtaking. Aside from trekking to the volcano, you can also take an all-terrain vehicle straight up to the lava front. 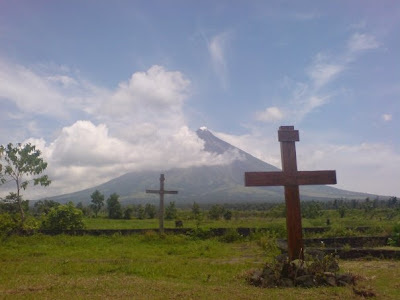 Other sites to visit are the Our Lady of the Gate Parish Church in Daraga that was built in the 18th century, the Cagsawa Ruins, Busay Falls, and Liñgon Hills where an underground tunnel built by the Japanese forces can be found. Of course, the best part about visiting Albay is eating spicy Bicolano dishes, such as Bicol Express, a variety of meats and fishes cooked with coconut milk, and my favorite dried fish called New Look. Where to stay: Hotel Venezia (www.hotelvenezia.com.ph) if you’re staying in Legazpi City and want comfortable, clean and value-for-money accommodations. For a luxury feel, check out Misibis Bay Resort in Cagraray Island (www.misibisbay.com). 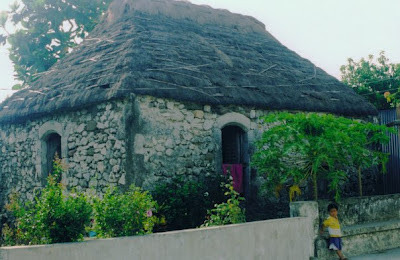 A traditional Ivatan stone house in Basco, Batanes. SOME foreigners have compared Batanes to Scotland because of its wide-open spaces, lush greenery and deep-plunging cliffs. Take a trip to “Marlboro Country”—a rolling hill with horses and cows roaming around or feeding on the grass. Visit colorful old churches, such as the Basco Cathedral built in 1783, the Mahatao Church (1787), San Jose Church (1814), etc. And if you can take a seasickness-inducing boat ride to Sabtang (one of three major inhabited islands of Batanes), drop by Savidug, a village of traditional limestone houses still used by the locals (or Ivatans). ASIDE from the world-famous Chocolate Hills, the must-see places in Bohol are the 18th-century churches, such as the baroque-inspired Baclayon Church and Loboc Church, which has an extensive collection of images of various and other religious paraphernalia. 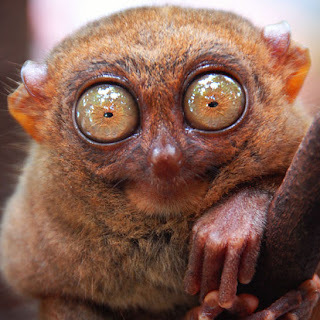 Have a hearty lunch of Boholano dishes while cruising down Loboc River, then visit the smallest primate in the world, the tarsier, in several of the minizoos located along the river. 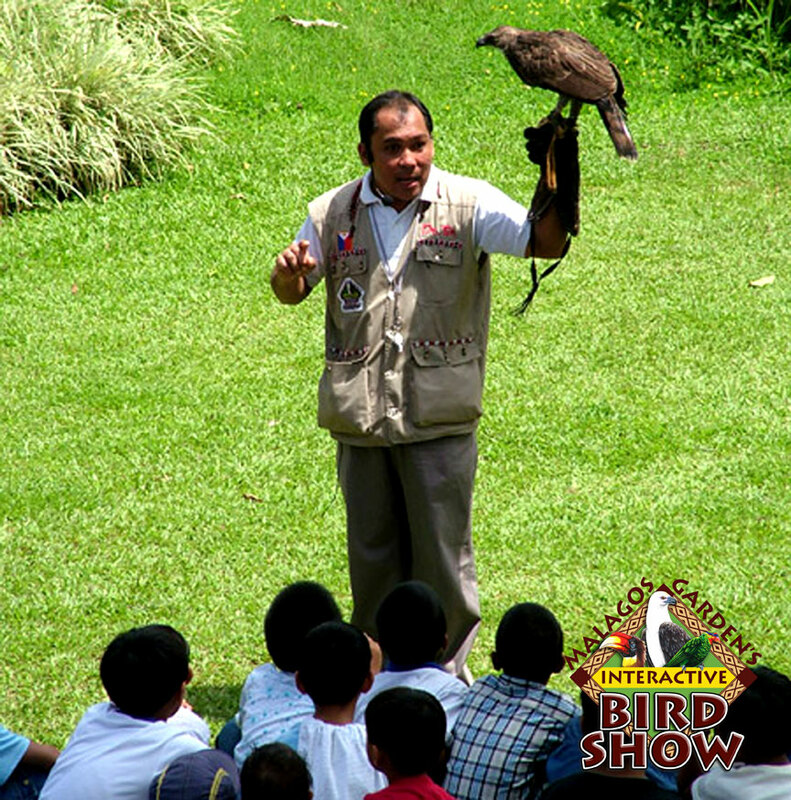 Other activities include swimming on Alona beach, scuba-diving on Balicasag Island, and dolphin-watching on Pamilican Island. I was recently told that my favorite resort no longer offers the best customer experience so better click www.bohol.ph/resorts.php for a list of accommodations. Boracay - the all-time best beach in the country and one of the most popular in the world. NO doubt the long stretch of white-sand beach and its clear turquoise waters are still the major reasons people continue to flock to Boracay. Aside from the usual island tours, spa massages, food tripping and bar hopping, and banana-boat rides, there is an amazing number of fun activities that can also be pursued. There’s rolling down a hill in a zorb (www.facebook.com/zorbboracay), feeding the fish while helmet diving, and para-sailing, to name a few. Visitors have a choice of resorts featuring the barest minimum amenities to the most luxurious, while foodies will surely enjoy an array of local and international cuisine cooked with the most authentic ingredients. Where to stay: Discovery Shores in Station 1, if you want the best luxury accommodations with the friendliest staff to boot (www.discoveryshoresboracay.com); and Sun Villa in Station 2, for a quiet escape, the best value spa, and home-cooked cuisine (www.boracaysunresorts.com.ph/villa.htm). Visit the Taoist Temple in Cebu City, and make your petitions to the gods. I HAVE loved Cebu since I started going there in the 1980s. One can be sure of warm, friendly smiles, an inexpensive but belly-busting meal, and just great entertainment because after all, isn’t this the land of country’s best singers? And, of course, the tasty, herb-filled Cebu lechon is simply one of the best-tasting in the country. Some of the most interesting sites are the Shrine of Magellan’s Cross which was planted by the Portuguese explorer Ferdinand Magellan’s men upon his arrival in Cebu in 1521; the Basilica Minore del Sto. Niño where the oldest image of the Christ Child is enshrined; and the Taoist Temple, which is guarded by fierce dragons and where the local Chinese go to pray and seek favors from ancestors and ancient gods. Also take a trip to Carcar, which is less than an hour drive from the city, which is famous for its chicharon, leather sandals, Spanish-era and American-period houses, and the historic St. Catherine’s Church, which is the second-oldest church in Cebu, after the Basilica Minore del Sto. Niño. Where to stay: BE Resort in Mactan for its hip, cool interiors, beach and tasty restaurant dishes (www.beresorts.com); Islands Stay Hotel in Cebu City for a value-chic stay (www.islandsstay.com) accessible to major malls, offices and tourist sites in the city. DAVAO’S marketing slogan “From islands to highlands” says it all. You will need boundless energy and at least a week to enjoy all the pleasurable offerings of this region. 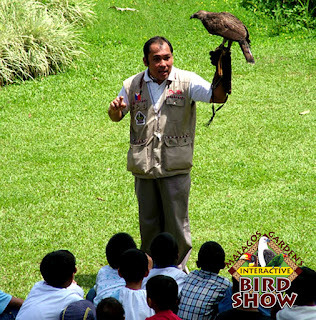 Climb Mount Apo and catch the sun breaking through the clouds; visit the mighty but endangered Philippine eagle at the Philippine Eagle Center; watch an entertaining interactive bird show at the Malagos Garden Resort; see the creepy bat cave on Samal island; or go ziplining in what is reputed to be Asia’s longest, which is definitely not for the faint-hearted. Eating durian can be a challenge to first-time visitors—it tastes like heaven but smells like hell, goes a local saying—so if the smell is off-putting, you can try its other variants like candies, coffee (at the homegrown Blu Gre café), or ice cream (Donnabelle brand). Other than durian, pomelo and mangosteen are also plentiful and readily available in the market, supermarkets, and roadside fruit stands. One of the remarkable food finds in Davao is the artisanal goat cheeses under the brand of Malagos Farms which are comparable in texture and taste to the foreign brands. Where to stay: Marco Polo Hotel (www.marcopolohotels.com) is still the finest hotel in the city with its large comfortable rooms, and possibly the best Chinese restaurant in the area. ONE of my most memorable trips has got to be in El Nido, in northern Palawan. Take a pump-boat ride and marvel at the colossal limestone cliffs or swim in the clean waters of Bacuit Bay where you can see schools of colorful fishes and other marine life. Or why not stop by a sandbar and enjoy the cold powder-fine, white sand under your feet? Where to stay: Miniloc Island Resort (www.elnidoresorts.com) is in itself a tourist attraction, with its lush surroundings and water cottages built on stilts. A must-see in Palawan is the Puerto Princesa Underground River, which has been gaining a massive amount of publicity since it was named one of the New Seven Wonders of Nature. The main attraction is the St. Paul’s underground cave where stalactites and stalagmites have formed over the years. Where to stay: Hotel Fleuris in Puerto Princesa (www.fleuris.com) loves hosting groups—whether families or friends, so make sure you avail yourself of its barkada package. By no means is this list complete. There are so many other gorgeous places to visit in the Philippines, and where travelers are assured of warm smiles and fun times.